Guess who’s back, back again. Axiom’s back, tell a friend. Yes, friends, the French brand with the quirkily vintage watches is back with another design for us over on Kickstarter. We first wrote about them a little over a year ago, followed up with their second model shortly after, and then finally got to go hands-on with the Axiom 26 Bleu Horizon earlier this year. 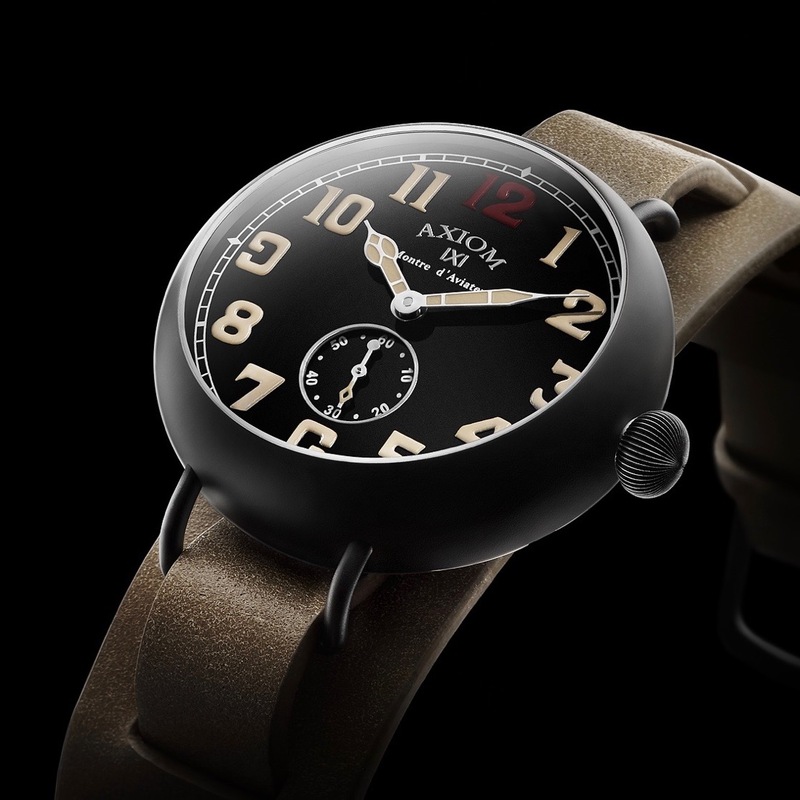 Well, they’re at it again, bringing us a familiar design with some subtle tweaks in the form of the Axiom Montre D’Aviateur. Now, if you’re familiar with the prior Axiom designs, this Axiom Montre D’Aviateur looks very similar to the previous watches – you’ve got the rounded case and domed crystal, narrow lugs with a two-piece strap (narrow portion over a wider), and a similar dial treatment. Closer inspection reveals some differences. For starters, that case has been redesigned a bit, most evidently by the crown moving from the 4 o’clock position to 3 o’clock. Why was this done? Well, friends, you see, this Axiom features a first for the brand, a Swiss movement. Gone are the Miyotas used previously – instead, we’ve got a Sellita SW260-1 automatic movement ticking away inside. That aforementioned crown has been redesigned as well. On the dial front, we’ve obviously got a different color scheme (along with a new dark grey finish on the case itself). Looking at the photos, the sub-seconds seem a bit recessed in the dial, which is different from the prior models which simply had the subdial printed on. Along with the new color scheme on the case and dial, we’ve got a new shade of lume. This time, it takes the appearance of aged radium, while the 12 remains painted in red (non-luminous, unfortunately). BLACK FRIDAY UPDATE: For 24 hours, there’s a new special reward being placed up, with drops the price of the new watch to about $400 – you should see that live on the campaign page at the time this article goes live. FUNCTIONS: Hours and minutes in the centre. Seconds dial at 6 o’clock.